Repeating a request she made unsuccessfully last year, Heather E. Cook has asked to be granted home detention for the remainder of the sentence she is serving for the 2014 hit-and-run crash that killed a Baltimore bicyclist. The former Episcopal Bishop’s request drew immediate “vigorous” condemnation from Alisa Rock, the sister-in-law of Tom Palermo, the 41-year-old software engineer who Cook killed when her car plowed into him on a North Baltimore bike lane. “Heather Cook has had a lifetime of avoiding consequences for her actions,” Rock said, noting that a Circuit Court judge recently rejected Cook’s request for a sentence reduction that would have meant almost immediate release. Cook also requested home detention last May and was turned down. But according to Gerard Shields, a spokesman for the Maryland Department of Public Safety and Correctional Services, she was told at the time she could reapply within four to six months of her release date. “At this time, Ms. Cook is scheduled for release in mid-September,” Shields said. If granted, the home detention request would allow Cook to leave the Maryland Correctional Institution for Women in Jessup where she has been serving a seven-year sentence. In 2015, Cook pleaded guilty to charges of vehicular manslaughter, drunken driving, driving while texting and leaving the scene of an accident in the crash that killed Palermo. 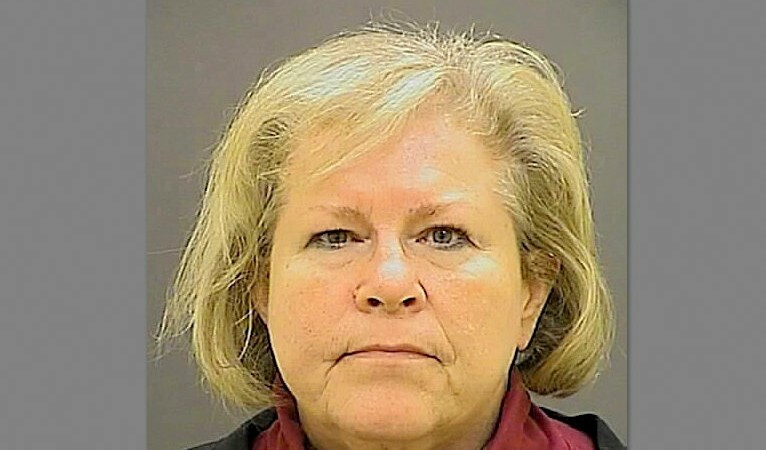 It was precipitous fall for Cook, who had just been made the diocese’s first female bishop, and a black eye for the Episcopal Diocese of Maryland, which had promoted her despite substance abuse issues including her guilty plea to a 2010 drunken driving charge in Caroline County. Delivering his decision on Cook’s sentence modification request three months ago, Judge Timothy Doory said granting it would amount to allowing Cook to serve no time for leaving Palermo to die on the side of Roland Avenue. “Can I justify no time at all for leaving the scene? I’m sorry to say that I cannot,” he said. “It certainly goes against mine,” she wrote in a statement sent to The Brew. Responding after deadline, Cook’s attorney, David Irwin, said requests like the ones his client has made twice for home detention are “standard operating procedure” for people serving prison time and are permitted under the rules. Irwin said Cook was eligible for a second try at home detention after Doory turned down her sentence reduction request last fall, but held back. As before, Shields said, state officials will conduct “a thorough review” of Cook’s proposal, including a “home plan” and sponsor, before making their decision. He said conditions of the home detention could include confinement to the home except for certain purposes such as medical care, wearing a DPS monitoring device and substance abuse restrictions. Cook has made several attempts to win various kinds of release from confinement, in addition to the sentence modification and earlier home detention requests. In May 2017, Cook applied for parole and was denied. A spokesman for the Parole Board said she showed a “lack of remorse” at her hearing. In July 2018, Cook requested work release, which would have allowed her to leave prison during the day. Shields said she later withdrew that request. Palermo’s family members are informed of each of these requests, Rock said, calling them a hardship every time. “Each attempt to reduce and mitigate her sentence traumatizes my sister and her family anew,” Rock said.